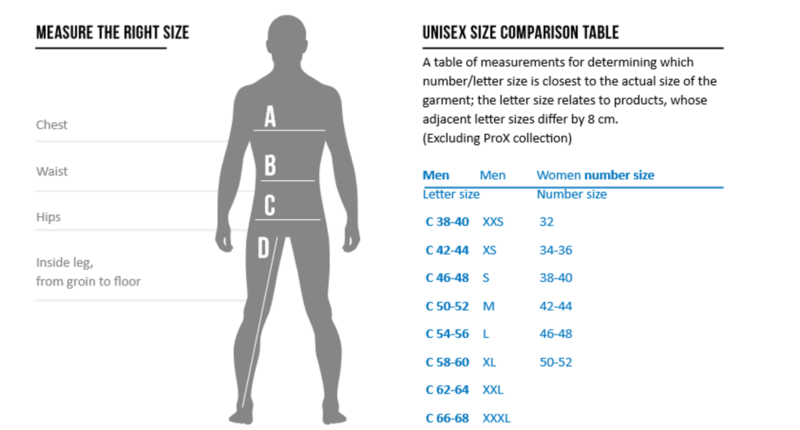 The measurements in the size table refer to body measurements measured over underwear. Measure your own measurements and choose your size from the table. Do not add anything to your own or to the table measurements, this ensures you choose the correct size. 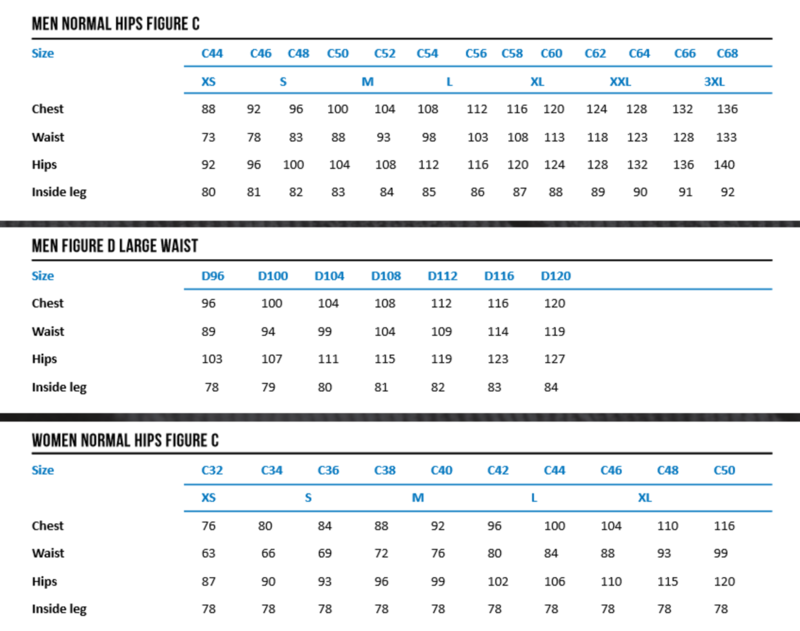 The measurements in the table are body, not garment measurements. A correct size garment feels comfortable, protects sensitive areas like wrists and neck and does not restrict movements!